The mobile technology turns into Smartphone technology but still facing issue about the battery that is not long lasting for two or even one full day. In every field Smartphone opted better and more advance features from camera, processor to memory capacity. But battery is still like a beta feature which really needs to be more powerful; to taking this issue into consideration Gionee launches Marathon M5. Main specs highlighted in phone are 5.5 inches AMOLED display, 13 and 5 MP camera, 1.3 GHz MediaTek processor, v5.1 (Lollipop), Dual SIM support, 32 GB ROM with 128 GB Ext. SD card, 3 GB RAM and 6020 mAh battery. 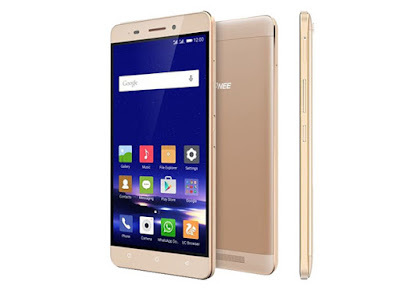 Here we will have Short review, Pros and Cons of Gionee Marathon M5. One thing we can praise about this phone is its dazzling metal and plastic built design. This version of marathon series is more appealing than its predecessor phones. It is quite slim with lesser bezel space, although it’s heavier that most of counterpart devices weighing around 211 grams. MicroSD card slot, power and volume buttons are placed the right, two 4G Micro-SIM slots are placed on the left. The 3.5mm headphone socket near IR blaster on the top. Its era where phones are coming with QHD resolution even recently Sony launches 4K resolution phone but Gionee seems reserved about this feature & launches 5.5 inches Marathon M5 with 720 x 1280 pixels (HD). This is same applied for its display density of 267 ppi, after eliminating these thing this is relievable to see AMOLED touchscreen instead of IPS. Screen is bright and sharp but don’t expect too much because this falling under average category. To make it protected from the scratches there is guard of Corning Gorilla Glass 3. We didn’t get the point why Gionee frizzed its processor to MediaTek and that is only Quad-core with 1.3 GHz clock speed? However the phone doesn’t show any kind of hiccups in performing day to day tasks. But this configuration doesn’t satisfy the needs of the heavy gamers, multitasking is not a problem until you didn’t fill it with multiple apps. Lets come to the camera; everyone especially teenagers and youths are obsessed with group photography, selfies etc. So now it is important to have a quality camera in the Smartphone. This phone has 13 MP primary camera which ensures the decent photography, outdoor pictures are showing more details and feels crisper. The samples of night photographs looks noisy but it can be enhanced to some extent by using manual mode such as ISO, brightness etc. 5 MP front camera is sufficient to snap some cool pictures. The feature highlighted this Smartphone is its 6020 mAh battery capacity; Gionee official website claims that it can stand up to 62 hours talktime in 2G network that can be a great feature for the people which are mostly stay away from power source. Handset look and feel is classy. 4G supported in both SIM slots. Both SIM slots can be used for CDMA as well GSM. A power bank equivalent 6020 mAh battery. Display is not so crisp because of low resolution and low PPI. Processor is not so strong. No quick charging facility available for the huge battery takes 4-5 Hours to fully charging. Go to Settings > power management > Power manager > choose "None"
The phone has two benefits over all other average features. 1. Phone supports 4G+GSM+CDMA in both slots. 2. It has a huge 6020 mAh capacity battery. And now decision of selecting this phone is just a matter of preferences.